As an entrepreneur, it is imperative to be able to sell yourself! The number one question I get is, "What exactly do you do?" my response determines if I will make a business networking opportunity or not. 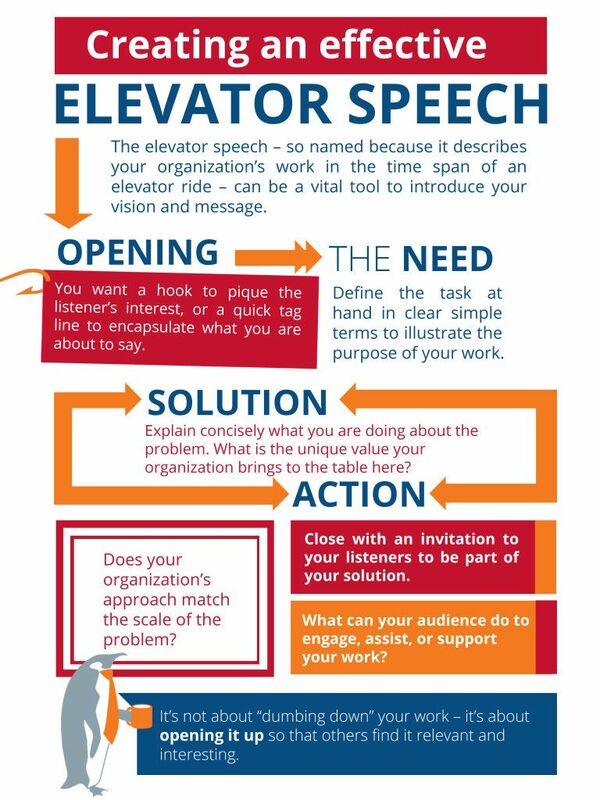 An elevator "speech" or "pitch" is a concise, compelling introduction that can be communicated in the same amount of time that it would take someone to ride the elevator to their floor. Start with a blank piece of paper and number it from 1 to 5. Fill in the most important facts of your life that you'd like to convey about yourself, your product, or your company. What is it exactly that you do? What have you achieved by doing this? Why did you start your company or service? Why does the world need it/ what are it's benefits? Be sure to state the items that really stand out. Add an interesting fact or statistic to use at the beginning of your speech. The ultimate goal of the speech is to engage someone that they will be intrigued to learn more. We all know that practice makes perfect! There has never been anything called too much practice! Share your speech to someone close to you that will provide constructive feedback. Play your speech back for yourself. Listen to your tone, and really listen to what you are saying. Make sure that you are truly expressing the message that you are looking to convey. 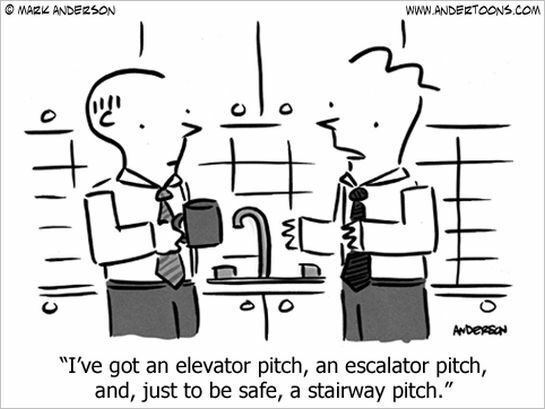 The next time that you are in the elevator alone, craft your pitch! Push the button for a floor somewhere in the middle of the building to allow yourself enough time to really nail it.